One of my favorite types of sushi is ebi nigiri. The shrimp has a very nice slightly sweet flavor that goes very well with the rice and it also looks pretty. 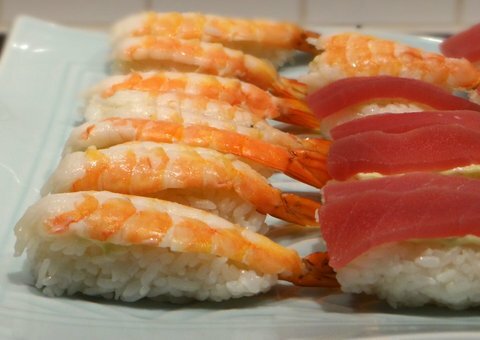 Although most people think of raw fish when they think of sushi, the shrimp is actually parcooked for this preparation. I’ve already explained how to make sushi rice and shape nigiri sushi in a previous post. In this post I will only deal with how to prepare the shrimp. For this preparation it is important to buy raw shrimp with the shells on. 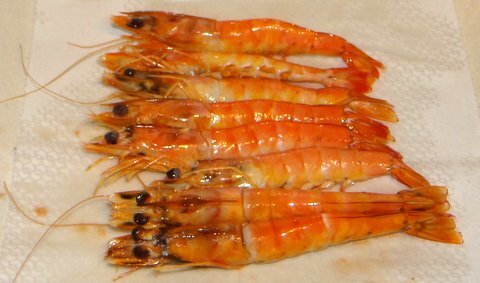 It is not important to have the heads as well, although leftover shrimp heads are great to make shrimp stock for risotto or shrimp crackers. Shrimp without the shells are usually curled and you want straight shrimp for this. Cooking the shrimp with the shells on also helps to give them a pretty pink color. 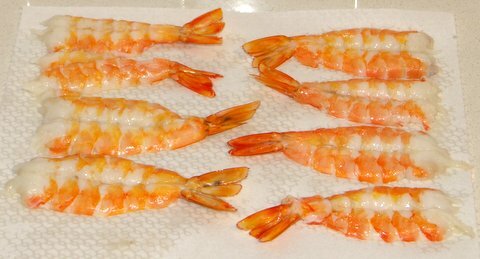 The right size for nigiri sushi for head-on shrimp is 20-30 per kilogram (10-15 per lb). They are usually sold frozen; defrost them in the refrigerator in 24 hours. It is okay if they are not completely defrosted for this preparation though, as long as you can insert the skewer. 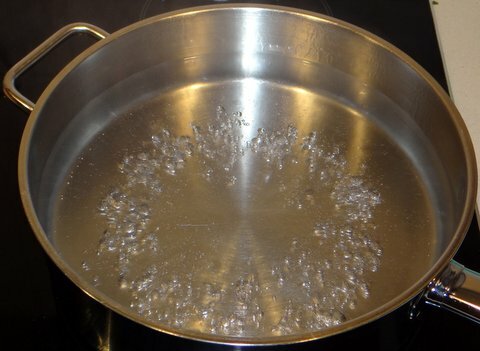 Bring an ample amount of water to a boil and add some salt. Turn off the heat and then add the shrimp. Let them steep until they are firm, about 3-5 minutes. 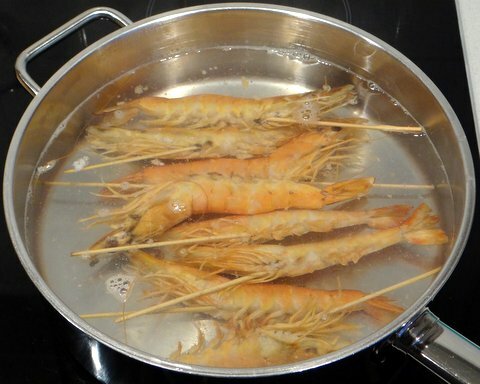 The shrimp are cooked at a lower temperature than boiling to keep them juicy rather than dried out. 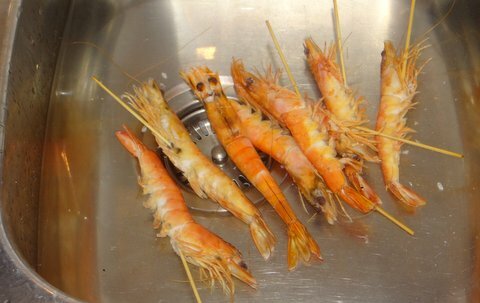 Plunge shrimp in (ice) cold water to cool. Remove the skewers, heads, and shells. Leave the tail attached for presentation purposes: that looks very nice. With a sharp knife butterfly the shrimp from the belly side. Make sure not to cut through the shrimp completely! Remove the dark vein and rinse with cold water. 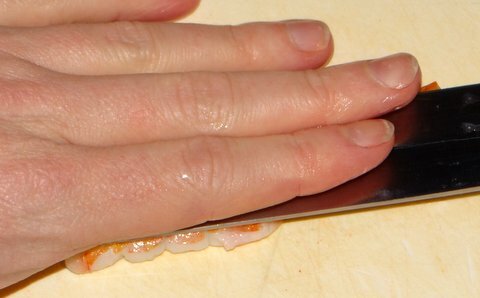 Fold open the shrimp and flatten it with the blade of a chef’s knife. Allow the shrimp to dry on paper towels. They are now ready to be used for nigiri sushi; see my post on homemade sushi for instructions. Great post, we are making sushi at home and the shrimp would be a good addition…your nigiri look much better than ours! To make good nigiri, it helps to shape them when the rice is still slightly warmer than room temperature, and to wet your hands with a mixture of rice vinegar and cold water (so the rice won’t stick to your hands and it is easier to shape them). Thanks- we may be letting the rice get to cold…this helps..
Why rice vinegar and water instead of the far less expensive white vinegar and water? You are, after all, only wetting your hands to reduce the sticking factor. 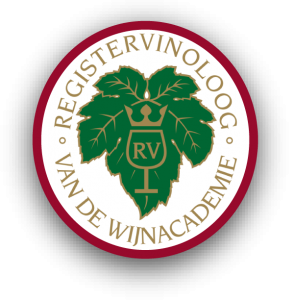 Hi, the vinegar is not only to reduce the sticking, but also to disinfect somewhat. In Japanese cooking rice vinegar is what you have on hand, but you could certainly use cheaper vinegar as well. Just make sure that you don’t use too much, because you should not end up tasting it. This is why the more mellow rice vinegar is a safer choice (but also more expensive, as you say). Yet another excellent cooking-tip post. Keep them coming! Thanks John. With your skill in the kitchen it should be a piece of cake when you follow the instructions. Homemade sushi is really good if you remember not to refrigerate it (which would dry out the rice). I’ve been wondering how to make the prawns flat to make Ebi Nigiri Sushi and this post covers it perfectly!! great post! I am definetely gonna try this out! I just fell in love with sushi early this year. I love your play by play instructions. My question for you is what type of shrimp do you recommend and what size (med,large, jumbo)? Thanks. 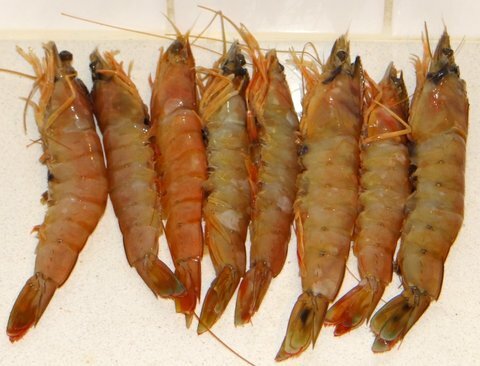 The best type is seawater shrimp, fresh or frozen at sea. (If you are lucky perhaps you can even buy them alive.) The tail of the shrimp should be about 5 cm or 2 inches long. I guess that is jumbo size.